Elisabeth Norcliffe, Katrina Housel, Juergen Bohnemeyer and I have been working on the next step in our investigations of Yucatec sentence production (see previous post). Some people have asked for more detail on the design and material and we definitely appreciate the feedback. 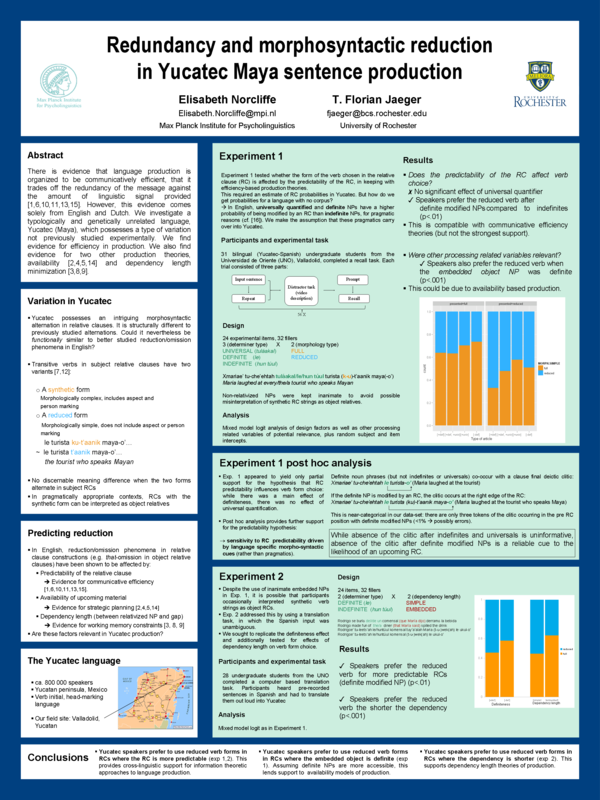 We started designing a series of experiments on Yucatec word order and voice choices, focusing on accessibility effects (such as the relative animacy of the agent and patient in a transitive event) trying to find evidence that distinguishes between alignment and availability accounts of accessibility effects (or provides evidence that both mechanisms are found). Due its typological features, in particular the available word orders and the way voice is marked (morphologically, without necessarily requiring word order changes), Yucatec seems perfect to test whether more accessible referents are order first (availability), aligned with the subject function (alignment, as expressed in Bock, 1986), or whether structural choices (such as a passive over an active) indicated marked or unmarked alignment between grammatical or semantic function with the relative salience of the involved referents. 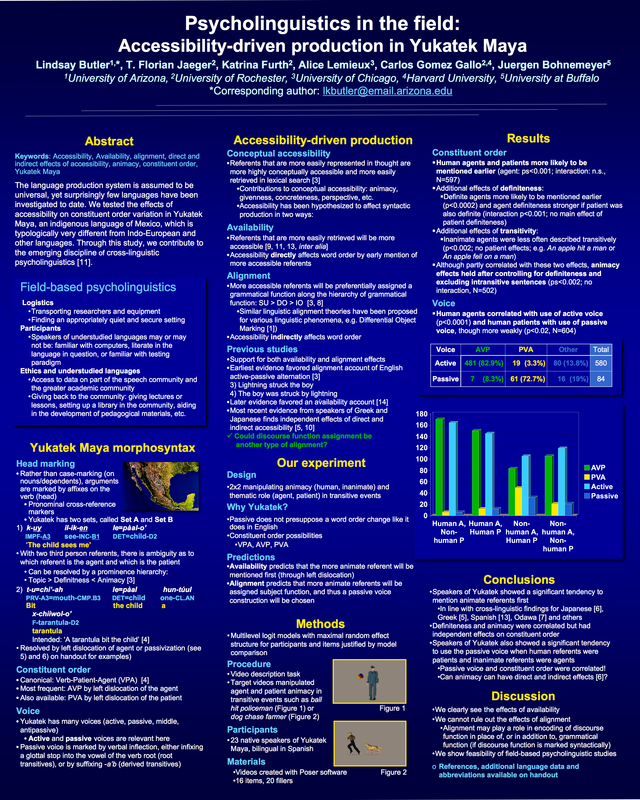 This entry was posted in HLP lab, psycholinguistics in the field and tagged accessibility, animacy, complexity, video description, word order, Yucatec.